Find the website that's made specifically for you. Welcome to the Schluter library! If you’re looking for more information on our products, you’ve come to the right place. 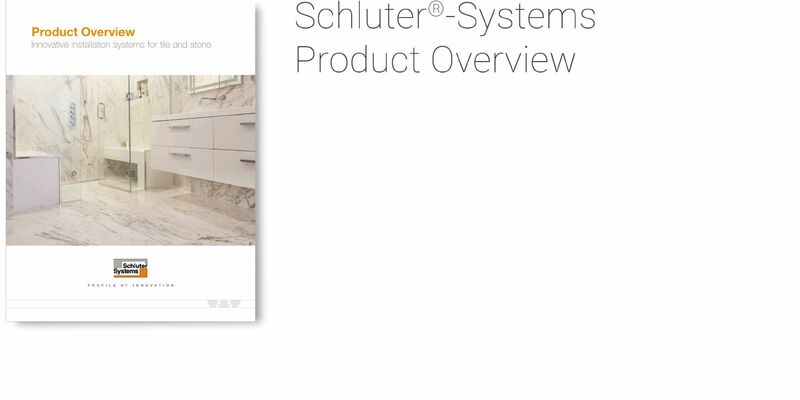 Here in our library, you’ll find support material for everything we do here at Schluter. Browse this section to find our price list, installation handbooks, technical data sheets, CAD drawings, product brochures, warranty information, and much more.